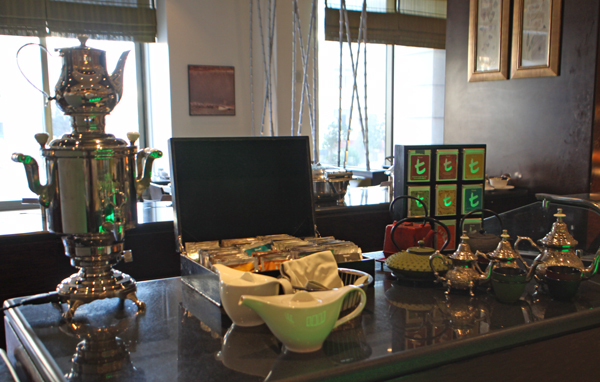 For relaxation or as a way to start the day, a cup of tea can't be beat. Even though I sometimes drink coffee, I prefer tea such as English Breakfast tea, Awake tea and Earl Grey tea, to name a few. Drinking tea has long been a tradition in my family, something my grandmother and mother enjoyed with family and friends. "Have a cup of tea and we'll chat," my mom would say almost immediately when I arrived at her house, 275 miles from mine. My grandmother had a cup of tea every afternoon at 3 o'clock. Anyone around would stop and sit with her at the kitchen table. As I delve into the life of early Americans during my research for various articles, I come across the frequent references to tea as a favored beverage. Modern day hospitality often calls for a cup of coffee offered to guests. However, in colonial days, tea generally was the more common brew at any hour. Some say tea was first sold in a public shop in Boston around 1680. Before long it was found in most apothecary shops. One researcher claimed that more than 7,800,000 gallons of tea was drunk by one and a half million colonists. In the streets of New York City, peddlers sold tea water from push carts. If it hadn't been for the tax on tea, imposed by the British, this country might still be a nation of tea drinkers. When the tea duty was forced upon the colonies, it struck the colonists where it hurt and caused a great deal of dissension. This was one of the factors causing the young colonies to break away from English rule. Tea drinking was a habit most Americans had acquired though. So even though they might have coffee for breakfast (at that time, tea was still a common breakfast beverage), they wanted tea for other meals. Yet they refused, out of patriotic spirit and economic necessity, to drink the tea when taxed. Thus, in its place, substitute teas were developed. Local herbs and plants were commonly used to make what were referred to as "patriotic beverages," or those which did not include imported tea. Liberty tea was one most often used. It was made from loosestrife, a very plentiful plant in the marshes of this country. It was four-leafed with pink or lavender blossoms and grew in wet places. Labrador tea was consumed in Maine. It was created from two types of evergreen shrubs. New Jersey tea was popular with the Sons of Liberty. This beverage was made from the dried or fresh leaves of a native wild shrub called Caenothus americanus. It's white flowers grew in egg-shaped clusters. The roots of this plant were used for making a red dye, as well. The bark could be used for concocting a gargle. Appalachian tea was a substitute from the withe rod and the inkleberry. This sometimes was called Carolina tea as well. To accompany your tea, perhaps you'd like to try DONUT MUFFINS. They are cooked like muffins, but taste somewhat like donuts. Mix together the following ingredients until dampened: 2 cups flour, 2 rounded teaspoons baking powder, 2/3 teaspoon salt, 1/2 teaspoon nutmeg, 1/2 cup sugar, 2 2/3 tablespoon dry milk, 2/3 cup water (or 2/3 cup milk instead of the dried milk and water), 1 large egg, 1/3 cup melted shortening or oil. After filling paper-lined muffin tins 3/4 full, sprinkle each muffin with a mixture of cinnamon and sugar. Bake at 375 degrees F. for 20 minutes. This recipe makes one dozen muffins.